Mark Moody - Albers Marine, Inc.
Part of our Procraft State Fishing Team Mark runs a Procraft Super Pro 210 with a Mercury 250EFI. Has fished for a lot of years and is a great fisherman. He fishes several tournaments and has placed in many of those. He represents Albers Marine and Pro Craft Boats. 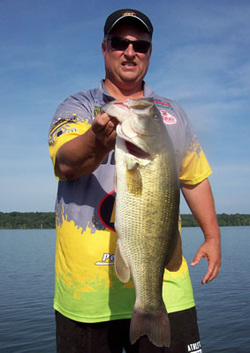 He is fishing the Triton Team Trail, Bass Weekend Series, American Bass Angler, and has fished many others in the past. He also guides on local lakes occasionally. He helps with our boat shows, open houses, and will demo a boat anytime. He is a great guy and we appreciate all he does to help us.